Package and price meal plans, recipe collections, reading materials, videos & more into custom speciality programs you can sell to clients and/or followers. Easily designed using our advanced dietary filter settings, these plans were created following specific nutritional guidelines and curated recipes already on the Meal Garden site. As all of the meal plans can be easily modified on the client end, a variety of recipe collections were provided so that there are plenty of options. 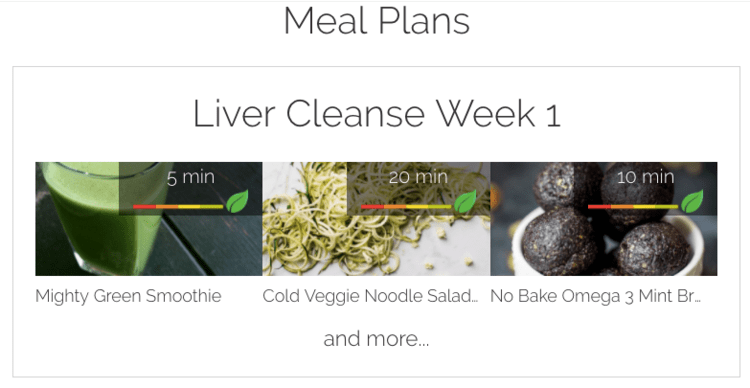 By using our Reading Material functionality, a media-rich article was created which elaborated on all of the elements beyond just the food that clients need to follow for a successful cleanse.